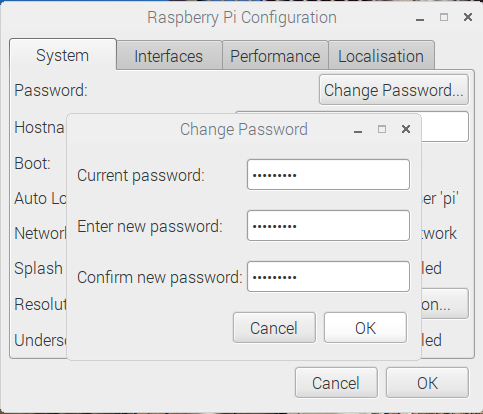 In order to access your Raspberry Pi from a Windows machine, follow the steps below. 1. 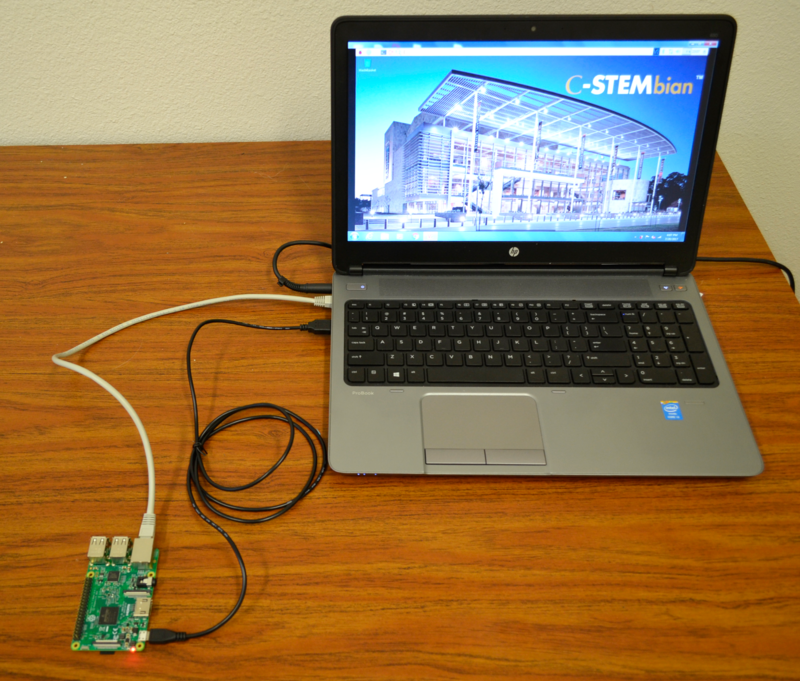 Connect your Raspberry Pi to your laptop using an Ethernet Cable for network access and Micro-USB for power. 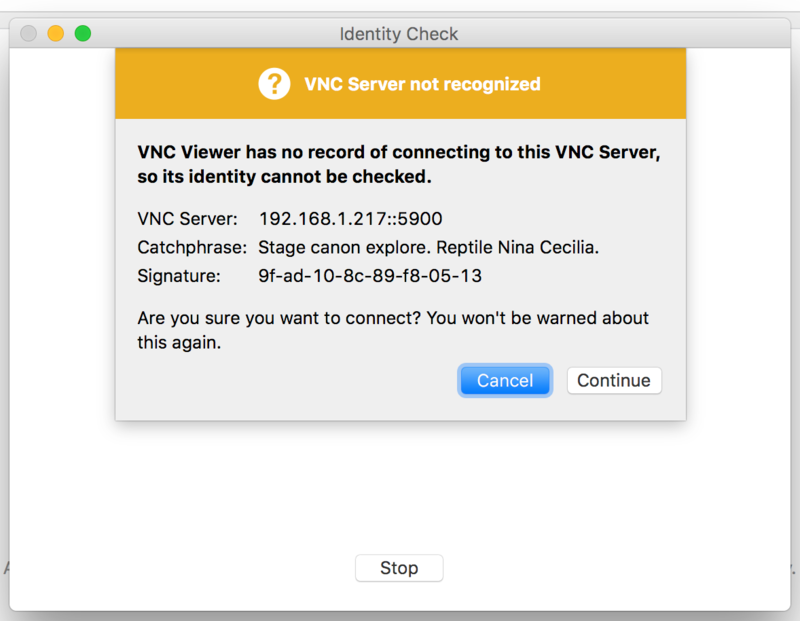 Make sure your laptop is connected to the internet. 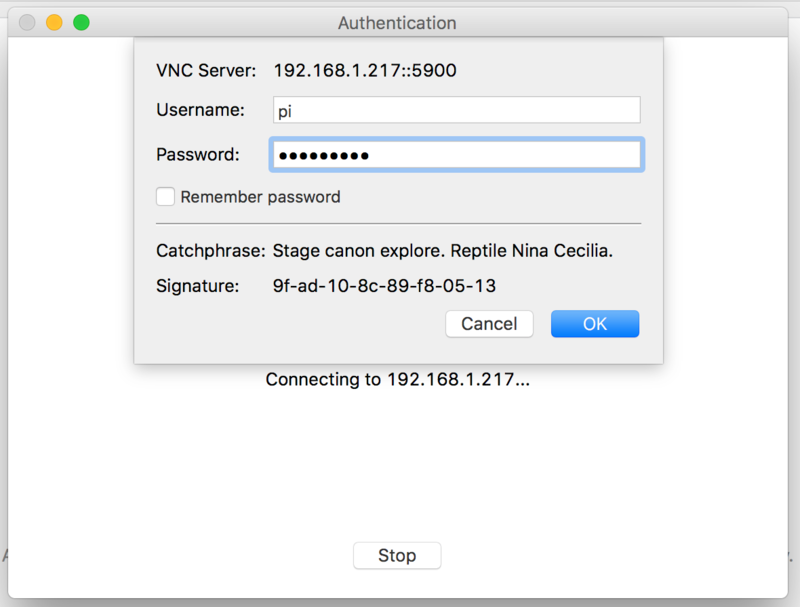 If your laptop does not have an Ethernet port, you will need an Ethernet to USB adapter (shown in Access to Mac OS X). You can by one on Amazon.com here. 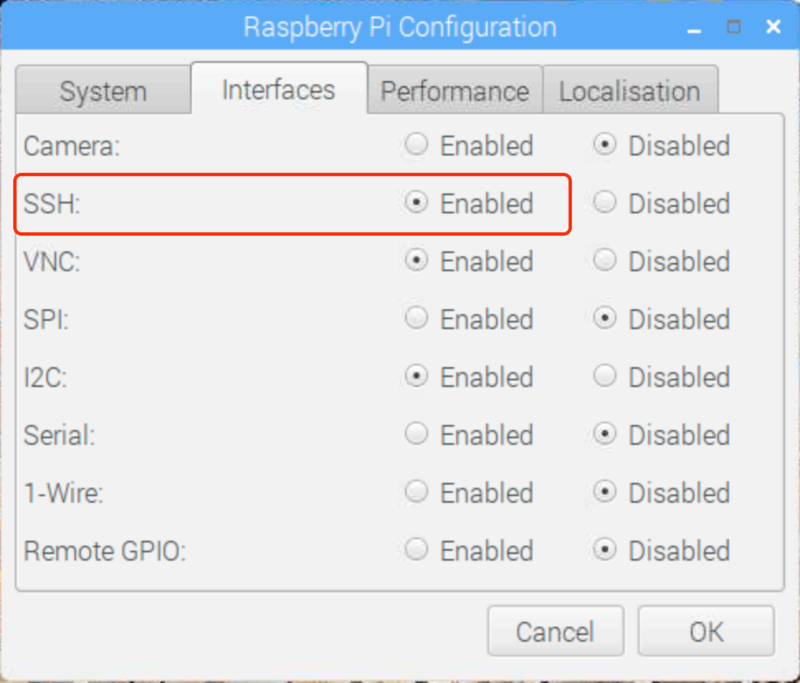 Bonjour Print Services lets your computer discover Raspberry Pi with C-STEMbian. 3. 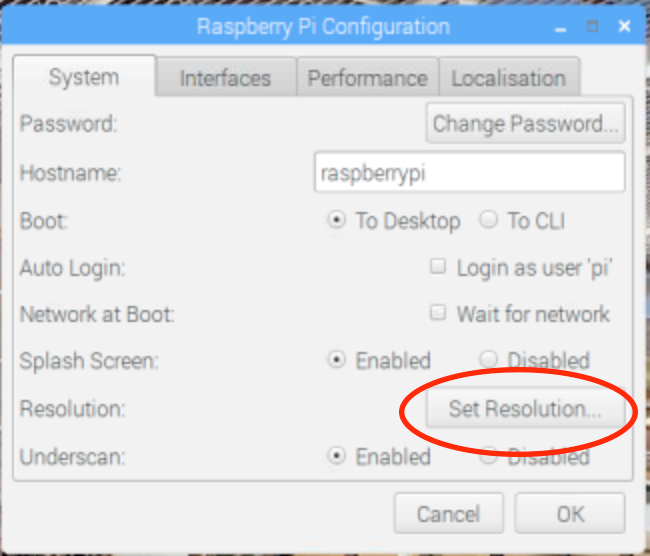 Set up your Raspberry Pi following the instructions in either step 3a or 3b below. 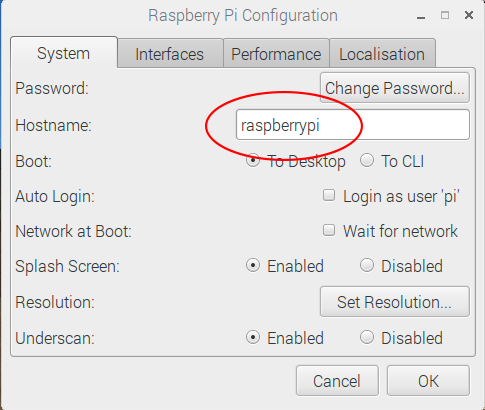 The first time you connect the Raspberry Pi, your machine may take some time to recognize it. 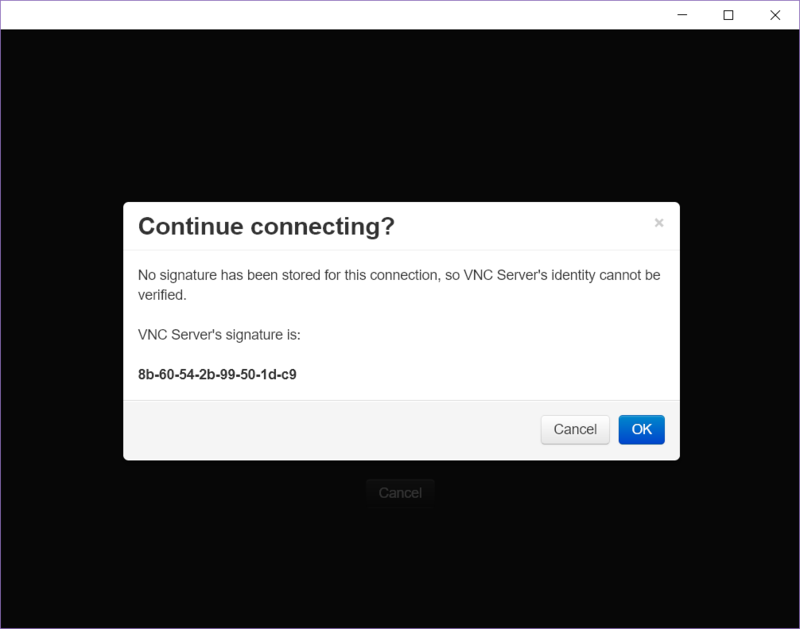 If the VNC viewer gives an error message “Cannot establish connection,” please wait a few minutes and try again. 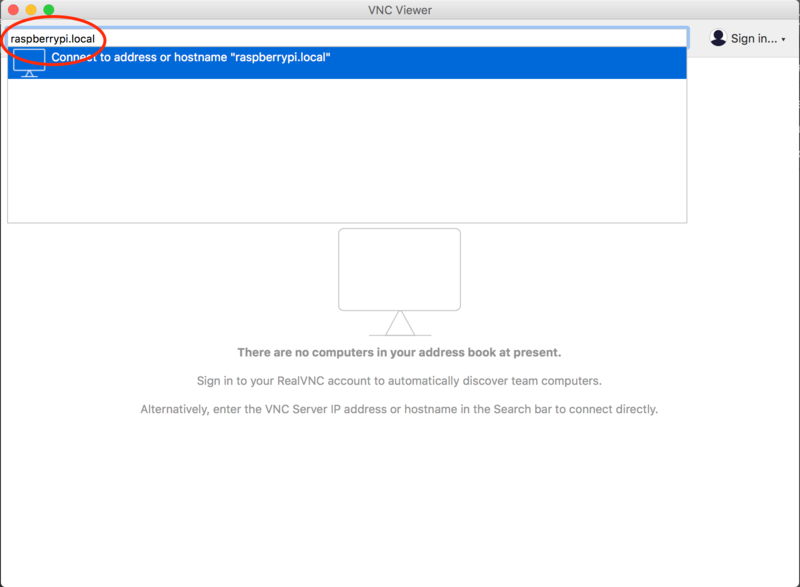 It has been reported that downloading iTunes may help the Raspberry Pi to connect. 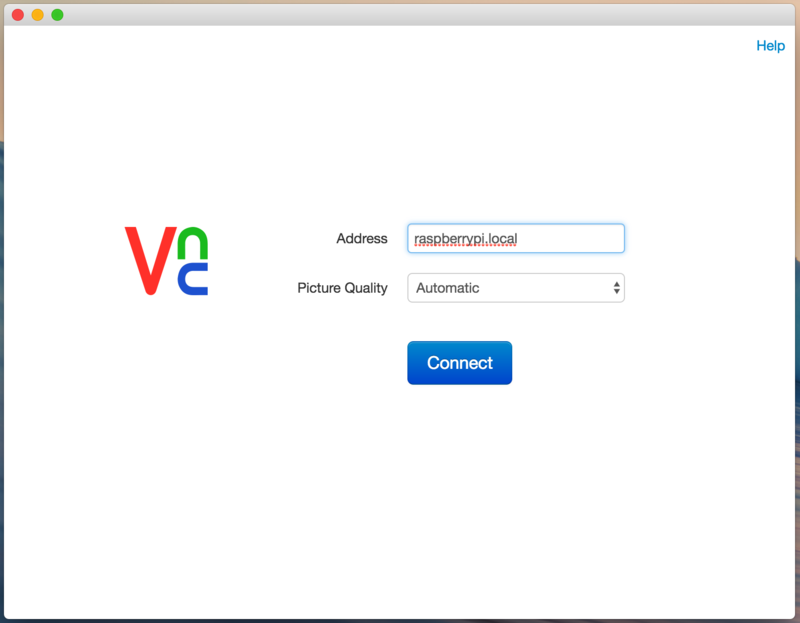 Download and install VNC software from the internet. 5. 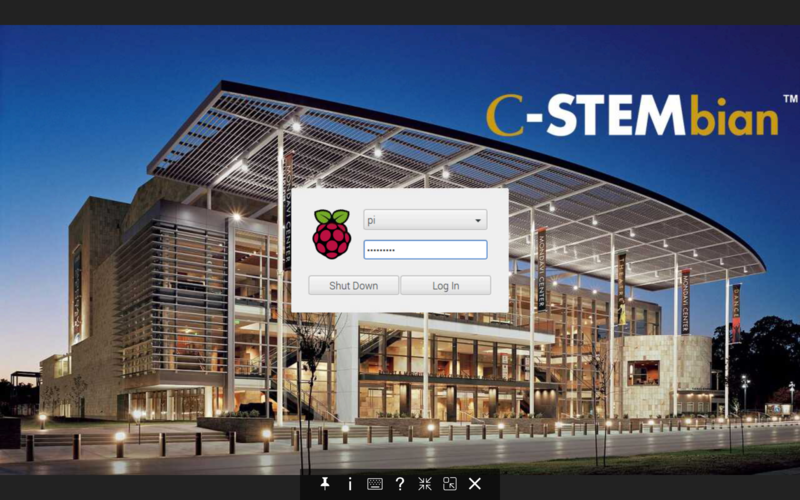 Click the icon on the top left as shown below to launch C-STEM Studio. 7. 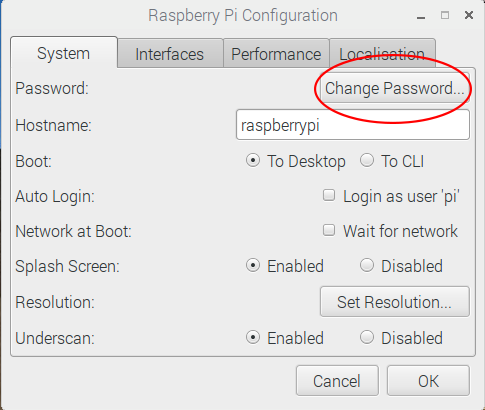 (Optional) Change the hostname of your Raspberry Pi. Putty is included in the distribution of Ch. 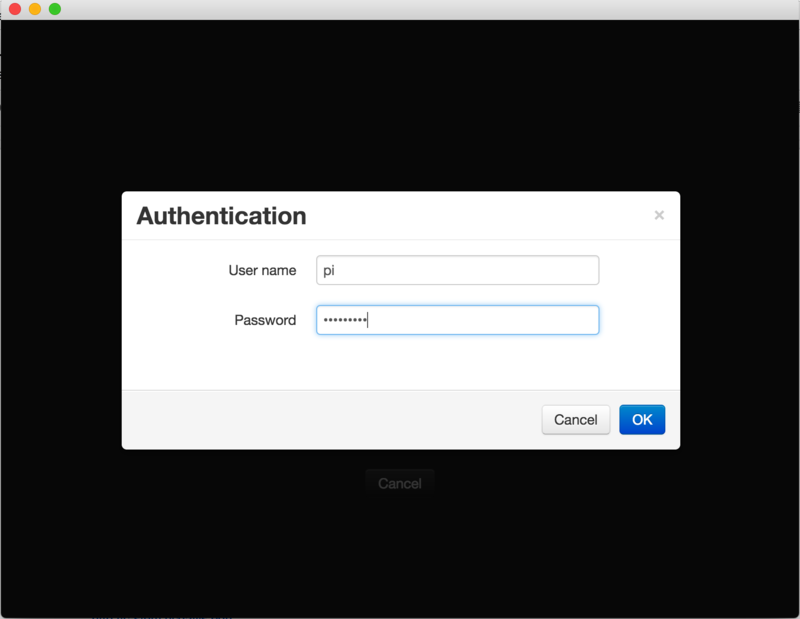 If Ch has been installed in your machine, you can type “putty” in a Ch Command Window to launch Putty. 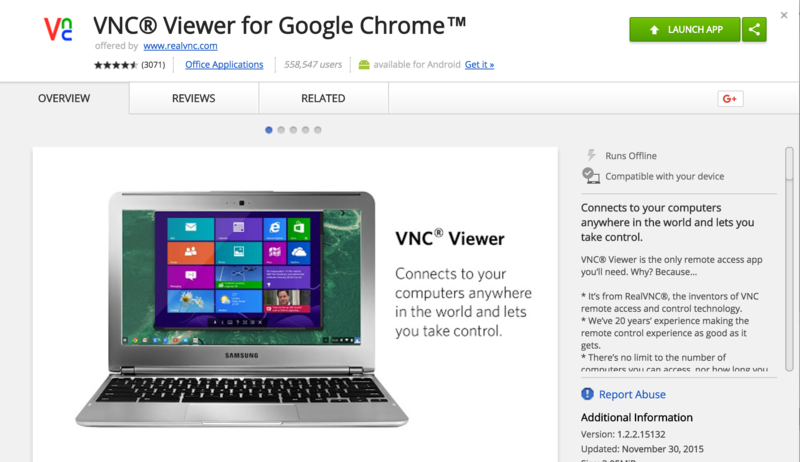 Otherwise, download and launch Putty. 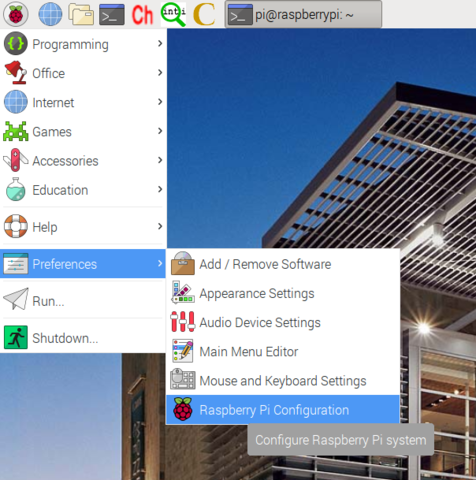 In Putty, type in “raspberrypi.local” or “cstem1.local” and hit the “Open” button.